Studies have shown that the likelihood of a suspicious mole being melanoma is very low. Melanoma is the third main cause of cancer death among women who are aged 25 to 39. Not to mention that the fast growing kind can become lethal in as little as several weeks. So if you have melanoma, it would be ideal to catch it early to stop any spreading. Getting immediate healthcare treatment will be your best chance at surviving such a frightening ordeal. Unfortunately, for women’s health, getting immediate detection and treatment is not readily available for everyone. Millions of Americans actually have to wait for months for their scheduled appointment with a dermatologist because of an alarming shortage of dermatologists in the country. There are actually an insufficient number of doctors in general, but the field of dermatology is already at its critical stage. The country has around 55,000 practicing pediatricians, 40,000 gynecologists, 38,000 psychiatrists, and only 10,845 dermatologists. According to the American Academy of Dermatology (AAD) though, the US needs at least 22,000 dermatologists to give necessary healthcare treatments in an appropriate amount of time to all of those who have skin issues. As reported by a study published in the journal JAMA Dermatology, among areas of the country with at least one dermatologist, 75% have less than four for every 100,000 people, which is the required number to give adequate care for everyone in one area. The study however, didn’t investigate places with zero dermatologists. Women’s Health has discovered a more disturbing statistic. One out of every five areas in the US has no dermatologists at all. For those who live in big cities, there’s most likely a dermatologist near you. Plenty of women in rural areas and medium-sized towns are unfortunately living in what Women’s Health has called “derm desserts.” These are areas that have zero dermatologists within 50 or even 100 miles. And the areas with fewer dermatologists have more melanoma deaths. That’s a double blow for women because since the 70s, melanoma rates among women aged 18 -39 have soared by an unbelievable 800 percent. The question is why are there so few dermatologists when there are plenty of needs for them? Women’s Health conducted a 6-month investigation and found out the pitfalls within the healthcare system, hospital community, and insurance companies, which will be discussed below. Being aware with the problems will hopefully start something in changing a broken system that blocks lifesaving healthcare for those who are in need of it the most. Women’s Health investigated the correlation between melanoma rates and insufficient dermatologists by examining 50 studies, dozens of dermatologists, and thousands of calls and e-mails. Using the same methodology employed by the JAMA Dermatology authors, Women’s Health researched how many 3-digit section codes there are in the US. Confirmed by the USPS, there are 933. They found that 221 areas don’t have dermatologists at all. Using Goggle maps and AAD’s Find a Dermatologist tool, it has been discovered that in many places, the nearest dermatologist is almost 100 miles away. Then it was later revealed that some of the mentioned practices were no longer operational. As the Women’s Health team dug deeper, they were led to truths about the skin doctor shortage that involved insurance money, hospital preferences, “narrow networks” and what’s being done to deal with this critical problem. In Gallup, New Mexico where the population is 22,469, the nearest dermatologist is in Farmington, which is 111 miles away and almost a 2 hour drive is needed just to get there. In Woodward, Oklahoma where the population is 12,963, the nearest dermatologist is in Elk City, which is 76.5 miles away and will need an hour and a half drive. In Le Grande, Oregon where the population is 13,026, the nearest dermatologist is in Walla Walla, Washington, which is 84 miles away and will need a little over an hour and a half drive. In Camden, Arkansas where the population is 11,569, the nearest dermatologist is in Hot Springs, which is 84.6 miles away and will require an hour and 45 minute drive. In Miles City, Montana where the population is 8,758, the nearest dermatologist is in Billings, which is 144 miles away and will need a 2 hour drive. In Demopolis, Alabama where the population is 7,182, the nearest dermatologist is in Sheridan, Mississippi, which is 59 miles away and will need almost an hour drive just to get there. In El Paso, Texas where the population is 679,000, even though there are 10 dermatologists in the area, they should have almost three times the current number. That’s according to the rule that there should be 4 dermatologists for every 100,000 people. Jamaica, Queens in New York where the population is 217,000, is considered one of the worst urban “derm deserts” in the country. The area only has 2 dermatologists. One of those two is Jeffrey Weinberg, M.D. who only opened up a practice in the area three years ago. His reason was because he heard about the shortage from Jamaican residents whom he saw in his Manhattan office, which is an hour of subway ride away. He said that most of the residents have months of waiting and that his Jamaica office is now his busiest office. In Utah where the population is 3 million, the entire state only has 22 dermatologists and claims the highest melanoma death rate in the US. To treat every person in the state, they need at least 120 dermatologists. The typical wait time in midsize city to get an appointment with a dermatologist for a skin exam to detect a suspected melanoma is 35 days. In big cities, the normal wait time is 32 days. In specific cities these are the average wait times: Cedar Rapids, Iowa = 91 days; Philadelphia = 78 days; Fargo, North Dakota = 71 days; Boston = 52 days; Denver = 51 days; and Seattle = 42 days. To guarantee the best survival, the period in which melanoma should be diagnosed and treated after the patient notices it is 14 days. A UK study has actually discovered that there is a 20% higher chance that a person will still be alive after five years if melanoma has been caught within 14 days. According to a 2015 study published in JAMA Dermatology, 20% of Medicare patients with melanoma had to wait for one and a half months before their melanoma was removed. 8% of them actually had to wait for over three months. Why is there a Shortage of Dermatologists? Dermatology is not an undesirable profession. The typical income for dermatologists is $381,000, which is more than what anesthesiologists and emergency doctors make. In fact, in a 2013 study that ranked the desirability of 18 specialties, students have chosen dermatology as the number one in terms of best lifestyle. So, what happened? Why are there very few dermatologists available in the country? People live longer now and skin conditions that used to be terminal are now treatable. Both are actually good things, but somehow contributed to the problem. 68 percent of dermatology patents are aged 40 or older. Around 87,110 cases of invasive melanoma will be diagnosed this year alone, and more new cases of skin cancer are detected every year than the combination of breast, prostate, lung, and colon cancers. As a result, patients are struggling for space in an already crowded schedule. As stated by the senior vice president of physician recruitment firm Merritt Hawkins, it demands more output from doctors to treat a patient for a longer period and that dermatology is not ready for that war from a labor point of view. There are no sufficient training programs for the dermatology department. In 2016, almost 31,000 residency spots are available to graduating medical students in the country. Only 420 were in dermatology, 7,024 went to internal medicine, 3,238 to family medicine, and 2,689 to paediatrics. All training programs at teaching hospitals are powerless because they mostly depend on support from Medicare. According to a policy expert and vice chair of the University of California at San Francisco (UCSF) department of dermatology, the funding stream for medical education has not seen relevant development in 20 years and is actually repeatedly under threat. Hospitals get to choose how much of the Medicare money goes to a specific specialty. And it’s not in the hospital’s best interest to accept dermatologists in training because they don’t admit many patients for hospital stays and don’t order many of the expensive tests like CT scans. In essence, dermatology residents don’t bring in much revenue for hospitals. According to a 2014 report published by the National Academy of Sciences, the financial benefit that hospitals get from dermatology residents is very little. Surgery residents on the other hand, deliver substantial revenue. Dermatologists don’t obtain enough revenue for hospitals, but they acquire too many for insurance networks more than the general practitioners do. As stated by the president of the non-profit Skin Cancer Foundation, since insurers have to pay those bills, some insurance companies decided to block a bit of access to healthcare by minimizing the number of dermatologists on their plans, so they can continue to collect premiums from people but don’t have to pay out some doctors. As a result, they will have lesser losses. This generates narrow networks wherein fewer patients can avail of proper healthcare. According to a 2014 UCSF study, doctors’ contracts are also being discontinued without cause. Dermatology Times have also noted that the most expensive dermatologists, the Mohs surgeons are usually dropped from these insurance networks. Mohs surgery is the prevailing and most effective procedure in removing basal cell and squamous cell carcinomas, which are the two most regular types of skin cancer. It is also more and more being used in treating melanoma. Experts are also concerned that some insurers may begin to remove dermatologists who take care of the most vulnerable patients with the highest needs from their networks. This could result to drive the patients with the highest costs to choose another insurer. A former AAD president mentioned an insurance company that went into a major and said that they will delist the 50 most expensive doctors. And those doctors normally perform more procedures, so the Mohs surgeons or those who take care of the toughest psoriasis patients and prescribe expensive drugs will surely get delisted as well. AAD’s sister organization, the American Academy of Dermatology Association (AADA) concentrates on government affairs, healthcare policy, and practice information. AADA has actually been lobbying Congress since early 2014 stating that its members began receiving network termination notices and that they are against the practice wherein healthcare insurers are minimizing the size of their provider networks by engaging network narrowing because of metrics that are related to costs. Over 50% of the US states have created laws aimed at improving insurance networks. In 2015 California passed the most all-inclusive one, which increases state oversight of the adequacy of insurance networks. 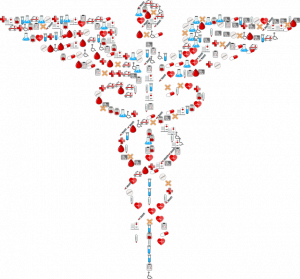 As mentioned by the project director of Georgetown University’s Health Policy Institute, what everyone needs right now is some sort of minimum regulatory standard for guaranteeing that patients have access to the healthcare providers that they need. Women’s Health contacted the America’s Health Insurance Plans (AHIP). It is the trade group that represents health insurance companies for comments regarding network narrowing. The spokesperson denied the claim that insurers deliberately removed dermatologists and indicated that some dermatologists themselves narrow the networks by opting not to take part in the plans. When she was asked why specific Mohs surgeons were dropped from plans without any reason she replied that some network arrangements, such as specialists that are in or out of the network depends on the insurer, the plan, the region, and the dynamics of the local market. Some insurance companies do not remove the names of doctors who have already retired, relocated, or died to make their network appear larger than they really are. As reported by the 2014 UCSF study that investigated the exactitude of insurance plans’ dermatologists directories, only one out of four dermatologists listed as in-network in a well-known nationwide healthcare plan really existed, accepted that plan, and gave appointments to new patients. Some had already moved away or retired, some were replicated listings, and others were completely mysterious. The researchers who called the phone numbers talked to receptionists who answered and said that they had never heard of that doctor’s name before. AHIP’s spokesperson admitted that inexact physician directories are existing problems, but insisted that such inaccuracy is unintentional and that they are already doing something to resolve the issue, such as finding better ways to contact the physicians to obtain updated information. She also mentioned that health plans depend on doctors to submit correct and updated information about their important contact details and languages spoken, that it’s also crucial that doctors inform health plans when their information has changed, and that health plans make the updates expediently. The UCSF study has also noted one more reason given by insurance companies for faulty listings and that is the last-minute alterations to federal healthcare plans. According to experts on the field countered the given reasons because they believe the mistakes on the lists are purposeful, insidious, and deceptive. One has even mentioned that it’s all about the money and that they use the inaccuracy to entice patients to acquire the policy. Medical trade magazines have already tackled the issue, but broadcasted enough for people to understand what’s truly happening. According to a 2007 UCSF study wherein researchers posed as patients and called almost 900 dermatologists around the country, patients with a possible melanoma wait more than three times longer as compared to patients who want younger looking skin. Whenever they say that they wanted wrinkle injections, they only have to wait for 8 days. On the other hand, when they mention about a changing mole that could be melanoma, the average waiting time was 26 days. The demands for cosmetic procedure have truly exploded. As reported by the American Society of Plastic Surgeons, facial injections have soared 7,000% between 1997 and 2016. Merritt Hawkins also indicated that during these recent years that have passed, as injection rates have increased by 10%, Americans have been waiting 12 longer for dermatologist appointments. The problem is not the cosmetic procedures or injections themselves. It all boils down to the law of supply and demand. More people demand cosmetic appointments, more people demand medical appointments, and there aren’t enough doctors to take care of all the concerns. Some experts in the field mentioned that money is the motive. According to the authors of the UCSF study, dermatologists could selectively improve access for cosmetic patients because cosmetic services involve higher payments. One east coast dermatologist also stated that dermatologists get up front payments from cosmetic patients. Other medical visits that involve insurance companies are accompanied by receiving payments from insurance companies 34 days later. And usually it’s very challenging to collect from the insurance companies. Some experts deny the claim, while some who practice in or near deserts told Women’s Health that some do prioritize cosmetic appointments over medical appointments and that those who offer cosmetic treatments now completely allot specific appointment slots for cosmetic patients only, most especially during slower economic times. One specific doctor from Flint, Michigan opted not to offer any cosmetic services. 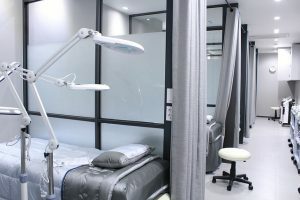 He also pointed out that in order to stay competitive in cosmetics, a dermatologist should schedule sooner appointments so as not to lose the patient to a medi-spa or another practice. According to one dermatologist who wished to remain anonymous, many dermatologists are trying to grow the cosmetic aspect of their practice even if they cannot even accommodate their medical appointments. One reason mentioned is that plenty of dermatologists can’t even stay in business because they are not able to manage all the government and health insurance directives. The amount of things that they need to report, document, and follow are very inconvenient. Another dermatologist from NYC said that plenty of dermatologists need the cosmetic side to cover the medical side. There’s actually nearly a $100,000 difference in pay for those who perform cosmetic procedures and those who don’t. Can you really blame the doctor if they prioritize the cosmetic patient? The city has a population of 36,074 and brags a level IV trauma center and more than 400 health professionals. The number of dermatologists is zero. The closest one is an hour and 20 minutes away in Camp Wood, Texas. Typical wait time is up to two months because the doctor is only available for two days in one month. It’s not her main location. Her main practice is in Corpus Christi, which is four hours away. She only opened the satellite location because she noticed how the area desperately needs her service. The alternative is to drive two and a half hours east to see dermatologists in either San Antonio or Kerrville Texas. According to a Del Rio resident who is 43 years old, she had to use her vacation days from her job as a community services director so she can drive her 11 year old daughter to a San Antonio dermatologist to have the skin problem checked. And she knows that not everyone is able to do the same. As stated by the spokesperson of the Val Verde Medical Center in Del Rio, family practice physicians in their facility handle the minor skin issues and that they are already recruiting more specialists. Residents mostly spend their lives out in the sun because most are ranchers and ranch hands, and some never had any skin protection for 30 years. According to the Camp Wood doctor, she has taken off very large cancers and that she’s glad that none have been lethal so far. There is Some Silver Lining! The National Procedure Institute is an organization that trains general practitioners around the world in specialist medicine and their dermatology course sells out at all of their Continuing Medical Education Conferences. 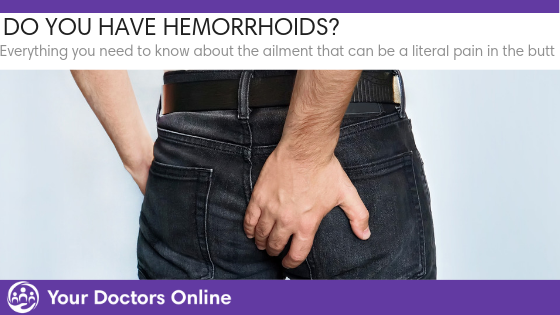 Their program specialist said that you should ask your primary care doctor about his/her training, but if the doctor still wants you to see a dermatologist then he/she can give an urgent referral to help get an earlier appointment. One training program that also helps is Project ECHO. The first Project ECHO hub specialized in dermatology and started in Columbia Missouri in 2015. The doctors who took part in the project can diagnose and treat many conditions, but the program doesn’t provide training in how to remove melanomas. Patients can drop by at a local hospital or community center and the staff can capture photos of the affected skin and sends the pictures via a secure tablet app to an off-site dermatologist. After a few minutes, patients can have a video conference with the dermatologist. This approach won’t be applicable to everyone. These centers are not yet widespread, and if the doctors think that you need a procedure, you would still need to get an in-person appointment with a dermatologist. It’s also difficult to arrive at an accurate diagnosis, and not all telederm doctors are board-certified by the AAD. But, according to plenty of dermatologists, such technology can still be helpful to people who need medical care for their skin. Call your local hospital or community center to find out if there is a teledermatology service near you. Dermatologists made a 43% increase in hiring these practitioners and assistants between 2002 and 2008. Nurse practitioners can handle the common things so the doctor is more available for the medical patients who need them. These non-physician providers work closely with the doctors, which guarantee that they make correct diagnoses and treatment choices. If you feel like you’re not getting the best care from the NP or PA, then ask for a supervising physician in the practice to inspect the treatment. Nn-physician providers sometimes need a doctor’s assistance, so avoid clinics that don’t have medical doctors in their staff. These clinics can still call themselves dermatology clinics even if there is no medical doctor present. Last May, two representatives from New York and Pennsylvania introduced a bipartisan bill that will increase the number of overall medical residency positions by 3,000 every year between 2019 and 2023. Since 2009, bills have been introduced but none have ever passed. Try to help push this attempt by calling your representative. Give your name and tell your representative that you hope he/she will support the Resident Physician Shortage Reduction Act because you’re concerned about doctor shortages, especially dermatologists. Dozens of hospitals have opened some clinics for urgent care specifically for those who are concerned about suspicious moles. The Cleveland Clinic now has Growth of Concern and the University of Missouri in Columbia now has “What’s That Spot?” There are also organizations that sponsor traveling skin cancer screening programs. Dermatologists volunteer to check up patients for free. Try to look for one near your area. Here are the other clinics: AAD’s SPOTme, The Skin Cancer Foundation’s Destination “Healthy Skin,” and The Melanoma Research Foundation’s Mark the Spot! Remember that every word matters, so instead of asking for a skin check, be specific. Tell the receptionist that you have a mole that’s changing or bleeding and that you’re afraid that it could be melanoma. Specifically stating what the problem is will make a big difference in how quickly you can be seen by the doctor. If it doesn’t work, demand to speak with a doctor or nurse. If it’s still not working, tell them that you will send a photo of your mark via e-mail. Are Childhood Food Allergies Leading to Anxiety in Kids?